The story behind Nick U'Ren, a 28-year-old Warriors special assistant, who was the brains behind starting Andre Iguodala in Game 4 of the NBA Finals. The move paid off against LeBron James and the Cleveland Cavaliers. CLEVELAND—Nick U’Ren’s official title is special assistant to the head coach and manager of advanced scouting, but at 28 he is not technically a coach or a scout. He compiles the playlist that the Warriors blare during practices, alternating Aerosmith and Drake. He edits the videos that they show during film sessions, splicing Klay Thompson highlights with Draymond Green spoofs. 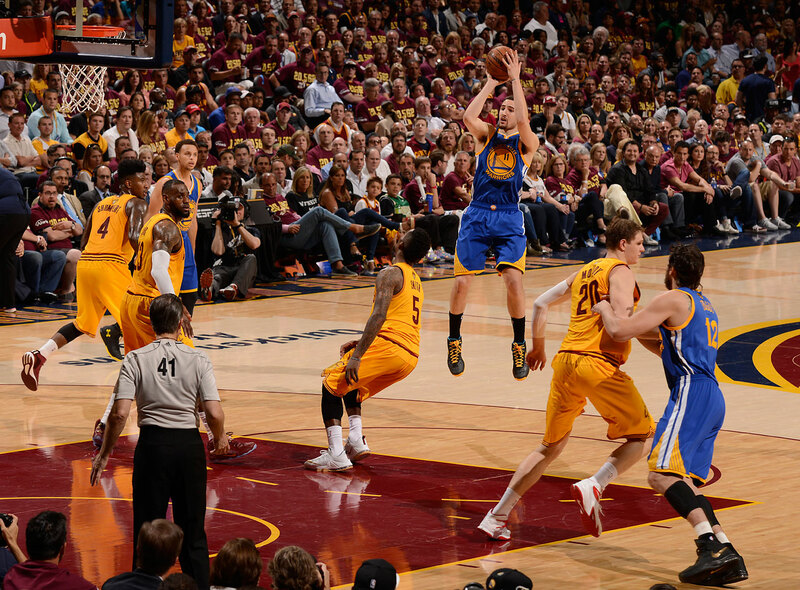 He rebounds for Stephen Curry, adding up his made three-pointers from every spot. When Steve Kerr has a radio interview, U’Ren is the one who reminds him, and when Kerr stages a bowling tournament, U’Ren is the one who divides the teams. 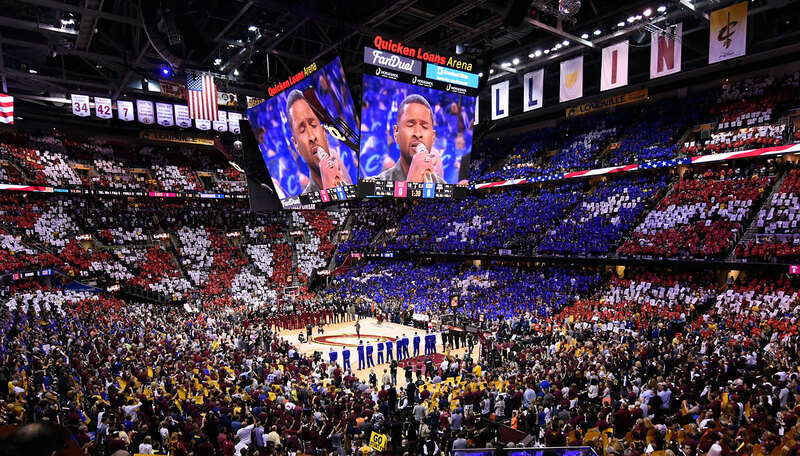 On Wednesday night, in his hotel room at The Ritz-Carlton in downtown Cleveland, U’Ren queued up video of the 2014 NBA Finals. The series seemed irrelevant, given that it pitted the Spurs and the Heat, not the Warriors or the Cavaliers. But LeBron James played for Miami, and in Game 3, San Antonio coach Gregg Popovich made the unorthodox decision to sub Boris Diaw for Tiago Splitter in the starting lineup. Popovich went small and a deadlocked series turned into a San Antonio rout. The Warriors’ roster is significantly different than the Spurs', but after reviewing the year-old footage, U’Ren called assistant coach Luke Walton and proposed a comparable move: pulling center Andrew Bogut, who started 65 games this season, for small forward Andre Iguodala, who started none. The suggestion was drastic. 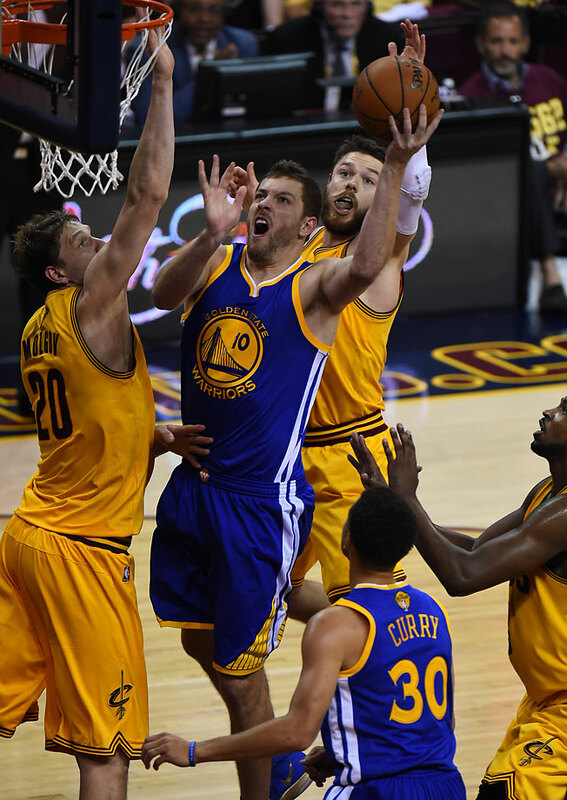 Bogut is an elite rim protector, who was just voted second-team all-defense, and without him Cleveland’s considerable size advantage would only grow. The Cavs might grab every available rebound. But Iguodala was Golden State’s best defender against James. Even more important, he’d give the Warriors another play-maker and floor-spacer, just like Diaw gave the Spurs. 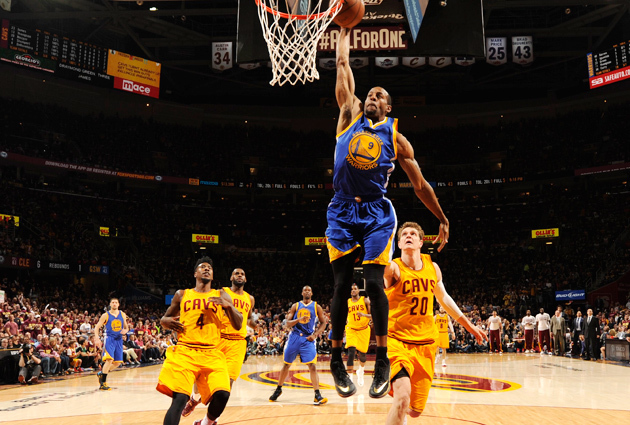 Iguodala’s presence, combined with Bogut’s absence, could help Golden State accelerate the pace that Cleveland had ground to a halt. Walton was sold. At 3 a.m., he texted Kerr with the idea, so the head coach would see it when he woke up. On Thursday morning, the staff met at the Ritz and debated the ramifications. Golden State made adjustments in previous series—putting Bogut on Tony Allen against Memphis, taking Thompson off James Harden against Houston—but this was far more severe. The Warriors won 67 games with essentially the same starting lineup. Now, down 2-1 in the Finals, they were scrapping it? Were they overreacting? Were they panicking? Kerr had already expressed concern about his players’ gloomy body language. He had lamented the loss of their buoyant style. He concluded that change was healthy and necessary, to shake the team from its obvious malaise. Iguodala defended James on nearly every possession, forcing him into his worst performance of the series—20 points on 7-of-22 shooting. 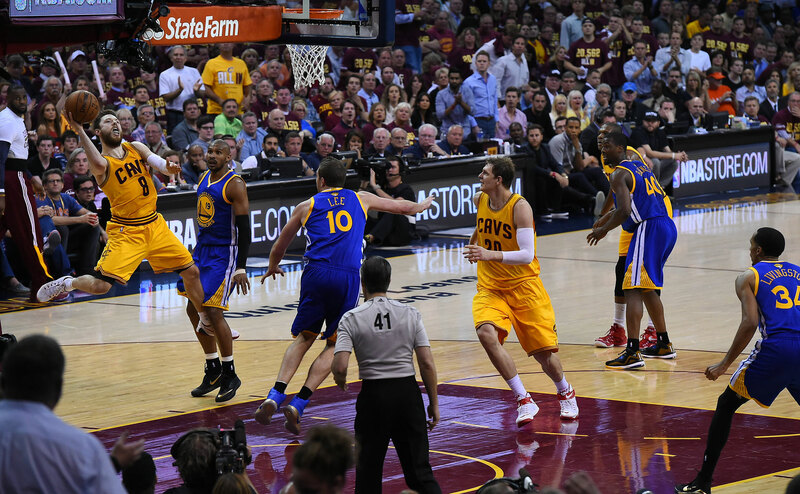 Meanwhile, Iguodala scored 22 points on 8-of-15 shooting and drilled four threes. He logged 39 minutes; Bogut didn’t crack three. A year ago, San Antonio’s Kawhi Leonard won Finals MVP in large part because of his work against James. Iguodala could be headed down the same track. As the Warriors packed for a return trip to Oakland, owner Joe Lacob walked down the hallway outside the visiting locker room at Quicken Loans Arena. “Good coaching,” he said. Sometimes, the best coaching involves the smartest hiring. When Kerr landed the job last May, he tabbed two experienced assistants in Ron Adams and Alvin Gentry, but he also gave opportunities to Walton and Jarron Collins. He brought Bruce Fraser, who he has known since college, and U’Ren, who worked for him in Phoenix. He gave all of them a voice, regardless of rank, creating a culture where they aren’t afraid to speak—or text, even at 3 a.m., even in the middle of the Finals. SI's Best Photos from Game 4: David Lee came off the bench for the Warriors again in Game 4 and scored nine points with five rebounds and three assists as Golden State won 103-82 to tie the series at two games each. Klay Thompson and the Warriors avoided suffering their first three-game losing streak of the season. 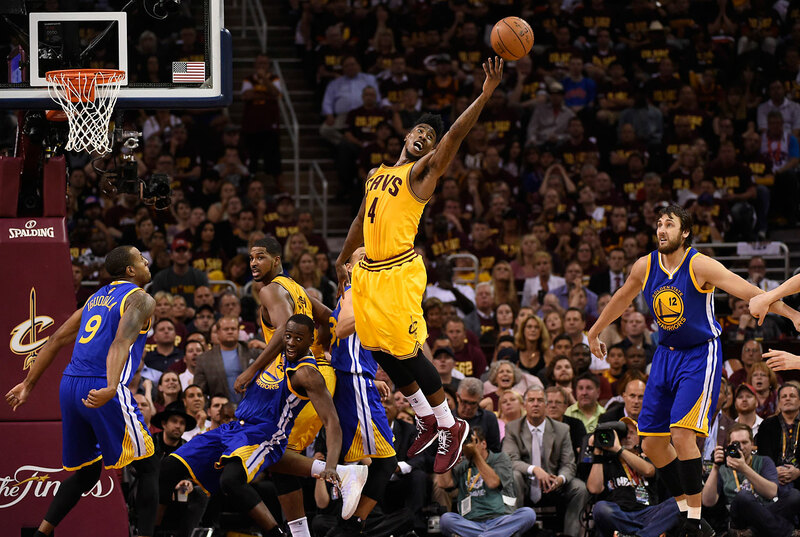 Iman Shumpert and the Cavaliers trailed 54-42 at the half. 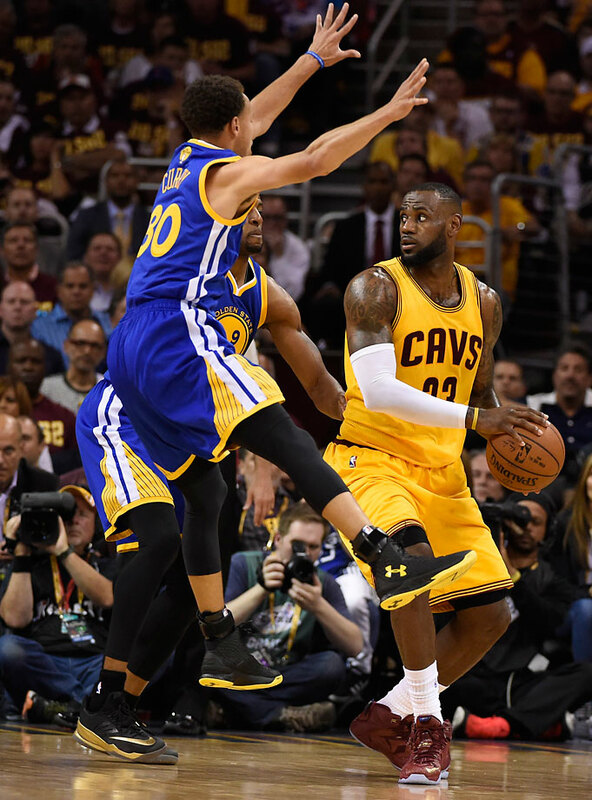 Steph Curry and the Warriors doubled LeBron James more than in earlier games, holding him to 20 points -- none in the fourth quarter. 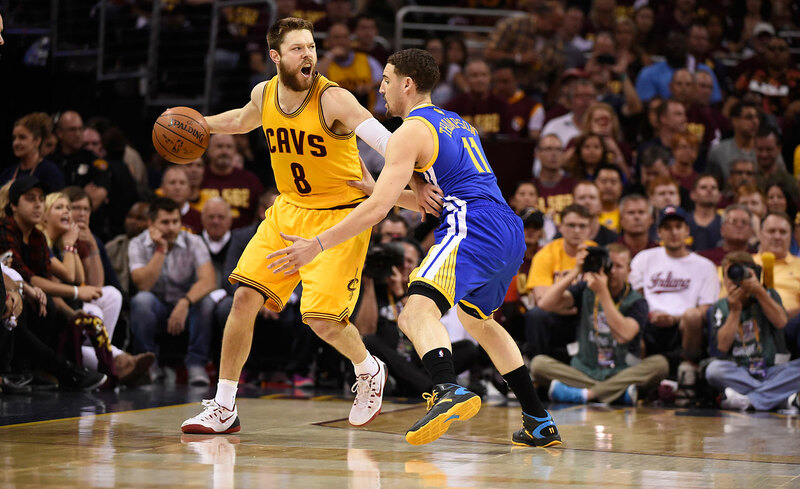 Matthew Dellavedova came back to earth in Game 4, finishing with 10 points in his 33 minutes of playing time. 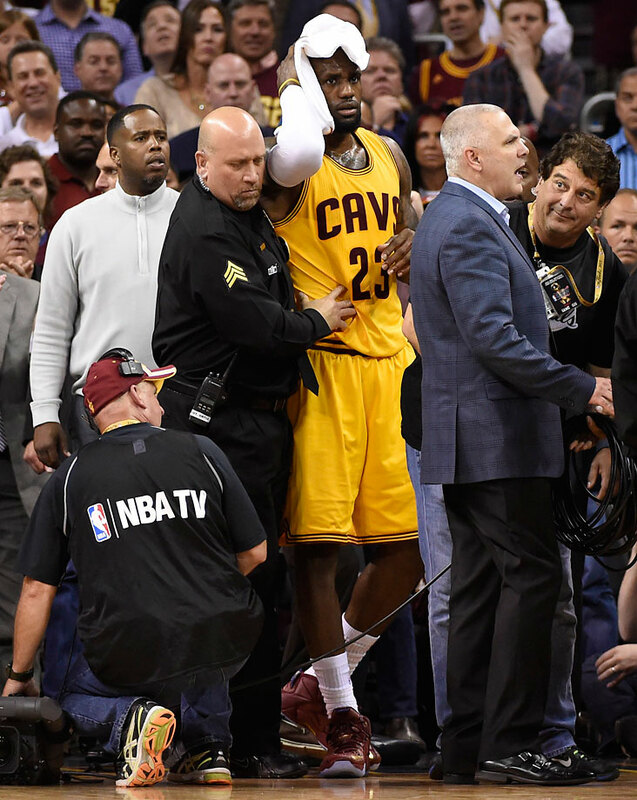 LeBron James suffered several cuts to his head after crashing into a cameraman. James hit only four of his 14 shots after that. 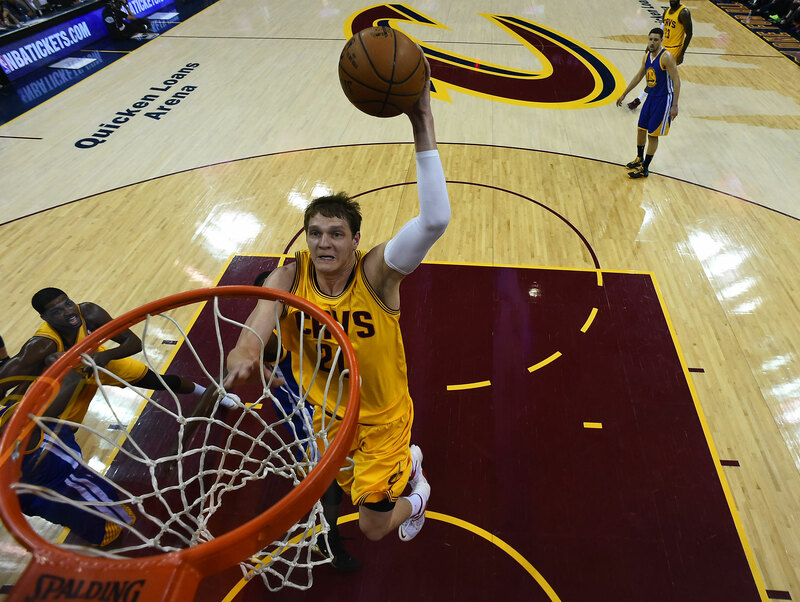 Timofey Mozgov scored a career-high 28 points in Game 4 to lead all players in scoring. 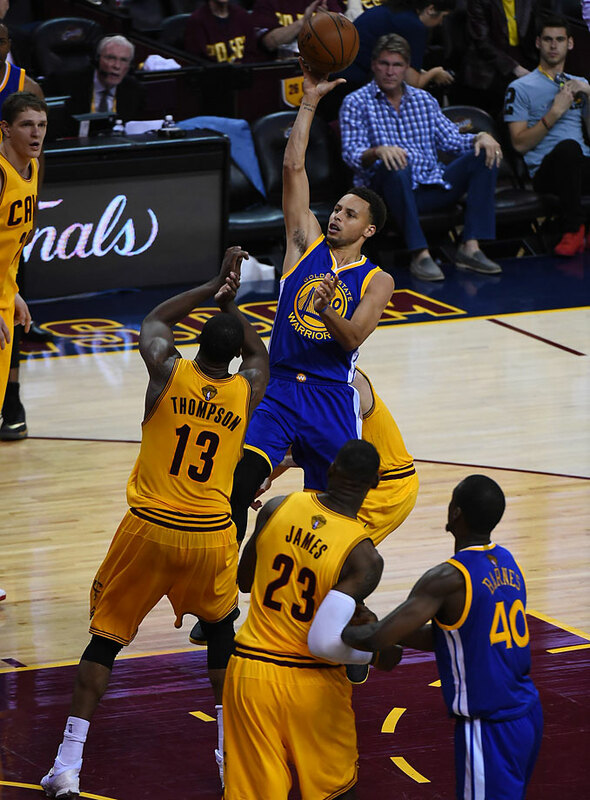 Steph Curry sank 8 of his 17 shots for a team-high 22 points. 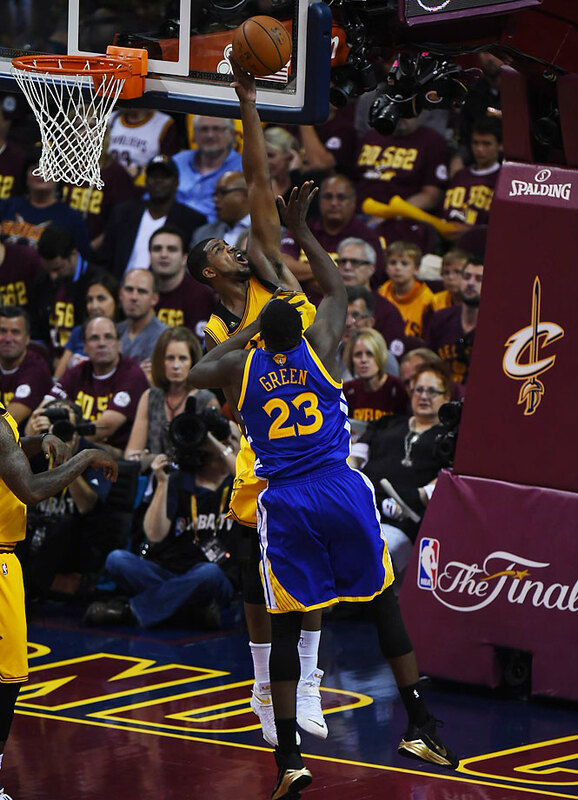 Tristan Thompson blocks a Draymond Green shot. Matthew Dellavedova made only three of his 14 shot attempts.